Is Yelp's CEO Right About Google And Interstitials? 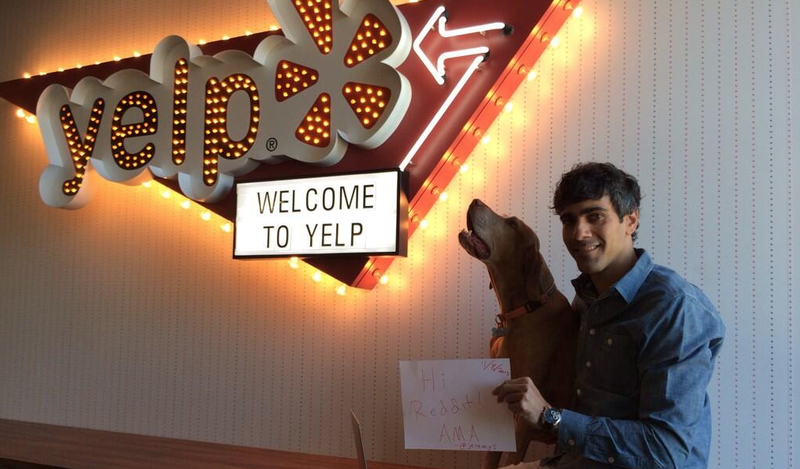 Is Yelp’s CEO Right About Google And Interstitials? Last month, Google shared findings of an internal study on interstitials, which it had previously implied could start negatively impacting people’s search rankings. Do you consider interstitials to be negative to the user experience? Are there ways in which they can make the user experience better? Share your thoughts in the comments. They looked at behavior related to their own use of interstitials, specifically with the Google+ mobile site, which utilized one encouraging users to install the app. 9% of visits to the interstitial page resulted in a “Get App” button being pressed. 69% of visits abandoned the page. They neither went to the app store nor continued to the mobile website. Presumably they were so annoyed they just didn’t feel like going any further. 1-day active users on the mobile site increased by 17% and Google+ iOS native app installs were mostly unaffected (-2%). They didn’t report the Android numbers because most Android devices come with the app pre-installed. @jeremys is this about protecting consumers or protecting their search monopoly? Now, he’s elaborating on this in a new blog post. This wouldn’t be much of a surprise if he were to do so on the Yelp blog, but interestingly his post comes in the form of a guest article on Search Engine Land, one of the most widely-read blogs in the search industry. A point Jobs left unsaid — perhaps because it is so obvious — was that in order for consumers to enjoy the advantageous experience apps provide them, they need to know the app exists. In other words, those apps must be somehow discoverable. While many users find apps by browsing inside an app store, another critical way they discover new apps is through mobile search engines, like Google. In this way, mobile search indeed serves a critical function to users: offering a bridge from the less desirable world of mobile Web browsing to a new world inside apps. Note that a mobile Google search for Yelp brings up an install button for Yelp’s app at the very top of the page. Stoppelman says that after people “cross the bridge” from mobile web to apps, they “likely don’t go back,” which he says Google sees as a threat to its core business of search and that apps eliminate the need for the middleman, which would be Google. Google has actually been talking about interstitials as a negative signal since before this study came out. Google also introduced two very clear positive ranking signals this year in mobile-friendliness and app indexing. One encourages the use of apps and makes them easier for people to use. This way, if you come across a Yelp result in Google, you can go right to the content in that app. Google is also utilizing this app indexing for something called Google Now on Tap, which brings users app functionality while they’re already using other apps. Search Engine Land notes that some opinions in Stoppelman’s article may be those of the guest author. Readers, which again, are primarily industry folks, had a lot of criticisms for Stoppelman’s article in the comments. Some maintained that interstitials make for bad experiences. Others criticized his approach such as not backing up his stance with data of his own. One went so far as to slam Yelp’s interstitial specifically. What do you think? Does Stoppelman make a good point or is he off base on this one? Share your thoughts in the comments.